The railway company fears long-distance and commuter train delays and cancellations may run into Monday, after a series of delays on Sunday. Finland's state-owned railway company VR has asked customers planning to use long-distance or commuter trains on Monday, 4 February to be prepared for delays or cancellations due to weather conditions. The railway company reports that all commuter D-trains will be cancelled on Monday. A-trains will be running within every 20 minutes between 6am and 9am, and K-trains will be running every 20 minutes between 6am and 2pm. The R-train to Riihimäki that departs from Helsinki at 3:51pm will also be cancelled. VR warns in the bulletin that other long-distance trains might also be cancelled, so it advises customers to check their website for more information before setting out. 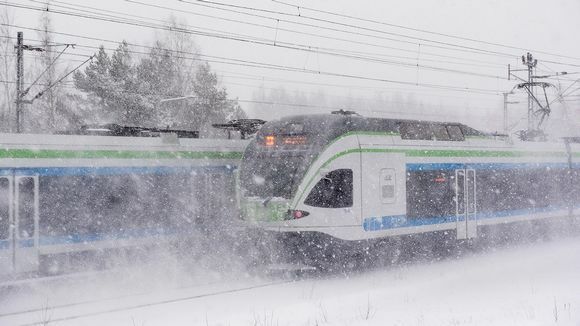 The VR website lists at least ten long-distance trains had been delayed for longer periods on Sunday, after southern and central parts of Finland received up to 16 centimetres of new snow. The new owners said production of the popular slippers needs to be moved abroad. Finnish lamb producers boosted lamb production for the holiday, but were forced to export some of it to Sweden.